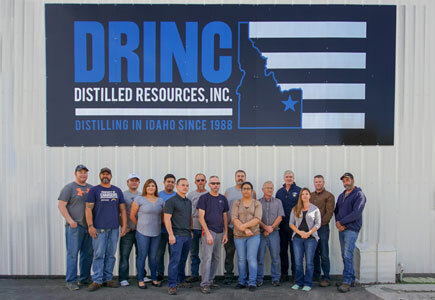 DRINC is redefining the spirits industry with a product of unparalleled quality, clarity, and smoothness. It is a vodka born out of Idaho grown crops such as the potato, winter wheat and corn, melded with modern technology. Our revolutionary technology and superior knowledge of the distilling process gives our spirits a smoothness, a sweetness, and a precision that you can find in no other spirit. So join the ride, see the sights, and experience the best Idaho and DRINC have to offer.